hello! i'm back today to share more details of this nespresso jar i made for elle's studio february inspiration gallery. i wanted to make something simple for ian this valentine's day. we bought a nespresso machine for christmas and he enjoys his freshly brewed coffee. hence, i thought a jar filled with his favourite capsules would be a fun gift! to make the gift look prettier, i decided to decorate them with products from elle's studio new valentine's collection - love me more! i got my jar from ikea and the capsules from my nearest nespresso boutique and got straight to work! 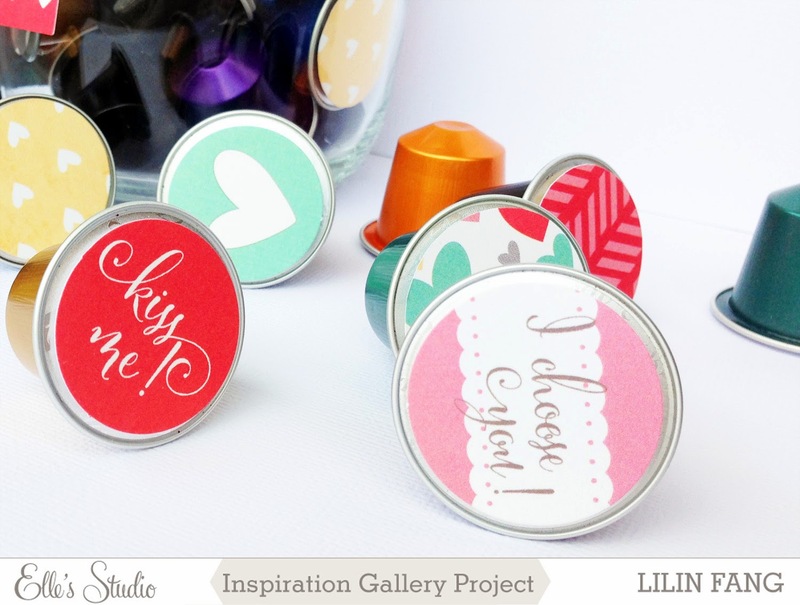 first, i covered the couple of the capsules with these cute circle tags from the bits and pieces. for the rest of the capsules, i covered them with 1 1/4 inch circles i cut from various patterned paper. you could use the silhouette Cameo to cut them or you could also fuss cut like what i did. i was careful when i adhere the circles to the capsules as i wanted to make sure that no glue will be left sticking to the capsule when i remove the tags. after trying a few ways, the best was to apply my adhesive roller on the tag before pasting it to the capsule. 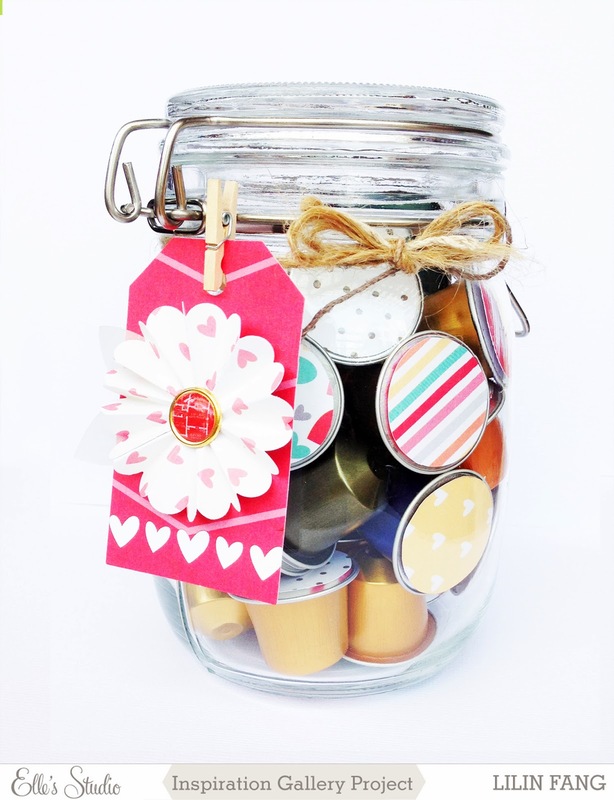 next, i decorated the top of the jar with a big circle tag also from bits and pieces. i thought the tag looks a bit plain so i added a title 'i love you more!' 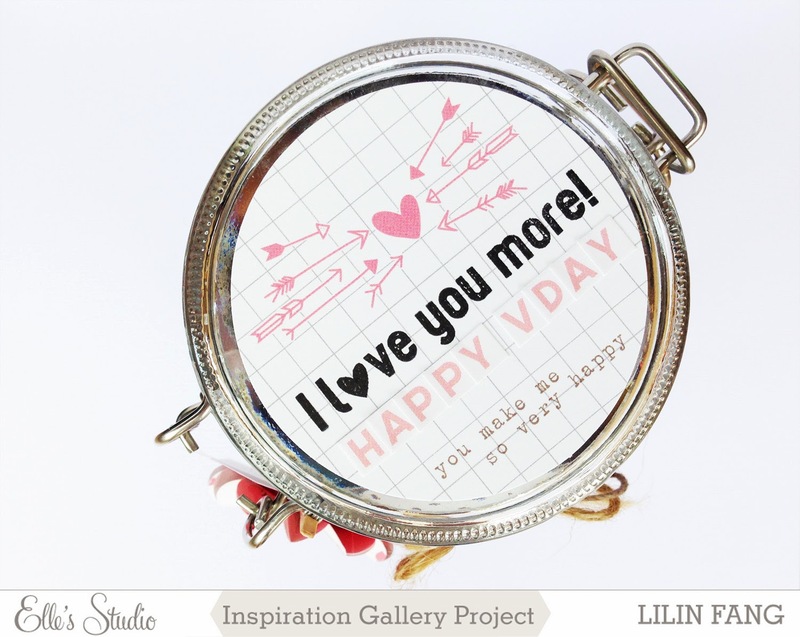 from love you more stamp set. i also used some alphabet stickers from october afternoon to form my message 'happy vday'. i wanted to make a tag so i could write a note. 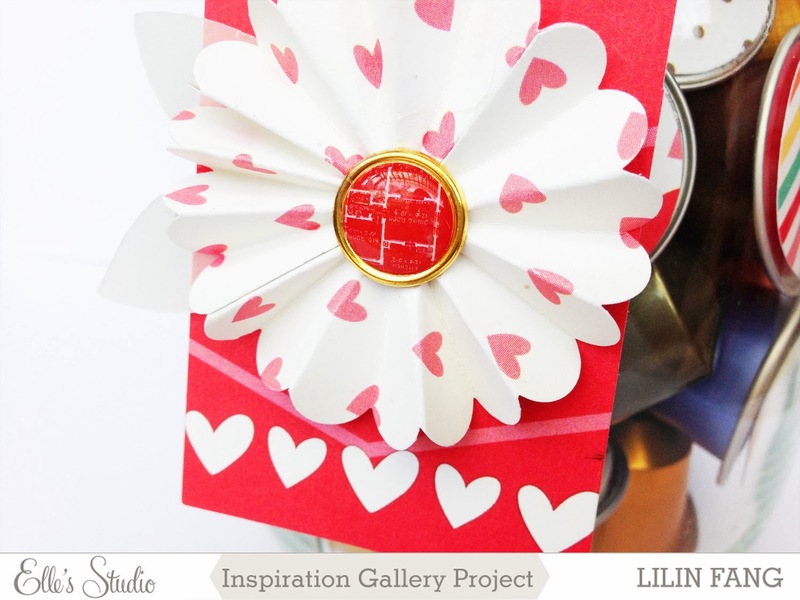 i used the pretty red tag from bit and pieces as my base and made a paper rosette using 'love letters' paper and a 2 inch paper puncher. i also added 2 vellum leaves here. lastly, i tied some twine around the jar and secured the tag to it using a mini clothes pin and my simple gift is done! 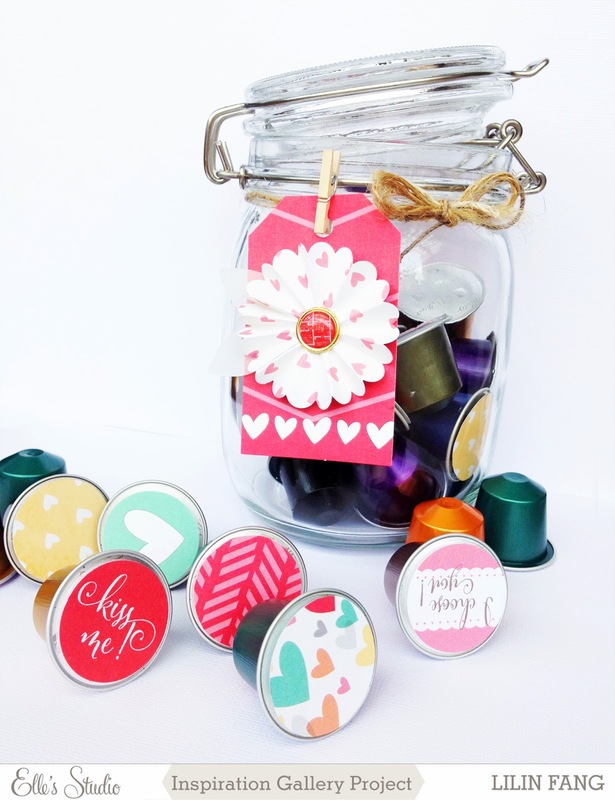 you could also use hershey's kisses instead of the nespresso capsules as another cute variation of this gift. i hope you enjoyed reading about my little gift as much as i enjoyed making it! thanks for dropping by!